It's one thing to disagree with the decision to go to war in Iraq. That, believe it or not, was once a minority view. According to a Gallup poll taken in March 2003, the night after the Iraq war began, 76 percent supported President George W. Bush's decision. Two months after the invasion, a Gallup poll found 79 percent of Americans thought the war was justified — about half of those said, "The war will be justified regardless of whether (weapons of mass destruction) are found." But in the last GOP debate, Republican candidate front-runner Donald Trump took things to a new level. He not only called the decision to go to war "a big, fat mistake" (and, post-debate, proclaimed it "a disaster") but also said: "They lied. They said there were weapons of mass destruction. There were none, and they knew there were none." That was breathtaking. Neither Hillary Clinton, who voted for the war before later repudiating her vote; nor Barack Obama, who called it "a dumb war" in 2002; nor Bernie Sanders, who called it "the worst foreign policy blunder in the history of the country" had accused Bush of "lying." Trump, of course, is not alone. Former Associated Press Washington bureau chief Ron Fournier, for example, once said, "George W. Bush lied us into war in Iraq." "The charge is dangerous because it can take on the air of historical fact — with potentially dire consequences. I am reminded of a similarly baseless accusation that helped the Nazis come to power in Germany: that the German army had not really lost World War I, that the soldiers instead had been 'stabbed in the back' by politicians. "Sometime in the future, perhaps long after most of us are gone, an American president may need to rely publicly on intelligence reports to support military action. It would be tragic if, at such a critical moment, the president's credibility were undermined by memories of a false charge peddled by the likes of Ron Fournier." The Washington Post's Bob Woodward, who wrote a book about the decision to go to war in Iraq, also said Bush didn't lie: "I spent 18 months looking at how Bush decided to invade Iraq. And lots of mistakes, but it was Bush telling George Tenet, the CIA director, don't let anyone stretch the case on WMD. And he was the one who was skeptical. And if you try to summarize why we went into Iraq, it was momentum. The war plan kept getting better and easier, and finally at the end, people were saying, hey, look, it will only take a week or two. And early on it looked like it was going to take a year or 18 months. And so Bush pulled the trigger. A mistake certainly can be argued, and there is an abundance of evidence. But there was no lying in this that I could find." David Kay was the "weapons hunter" sent by George W. Bush after the war to locate the expected stockpiles. He did not find them. But Kay said: "I had innumerable analysts who came to me in apology that the world that we were finding was not the world that they had thought existed and that they had estimated. ... .And never — not in a single case — was the explanation, 'I was pressured to do this.'" Kenneth Pollack, ex-CIA Persian Gulf military analyst and Bill Clinton's top Persian Gulf adviser, disagreed with the timing of the decision to go to war. But he said that all of America's intelligence agencies — there are 16 — asserted at the highest level of probability that Saddam Hussein possessed stockpiles of WMDs. Accusing a commander in chief, irrespective of his or her party, of knowingly lying to start a war is serious business. In the Iraq War, almost 4,500 U.S. service members died, to say nothing of the war's cost. To claim that the Bush administration knowingly lied to start the Iraq War is to assert that the CIA was behind 9/11 or that O.J. Simpson was innocent of double homicide. Facts don't matter. Lack of evidence means presence of proof. Larry Elder is a best-selling author and radio talk-show host. 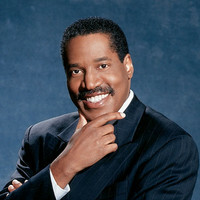 To find out more about Larry Elder, or become an "Elderado," visit www.LarryElder.com. Follow Larry on Twitter @larryelder. To read features by other Creators Syndicate writers and cartoonists, visit the Creators Syndicate Web page at www.creators.com.